I have often criticized Trados, but this time it's another SDL product that comes up short: Idiom Workbench. When running the spelling checker on a translation some special characters are not recognized as legitimate. 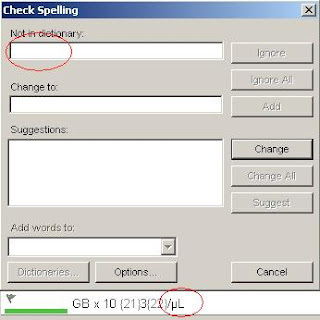 This would be OK, but the spelling checker in this case also does not display the unrecognized words (see screenshot). This is a problem. If you click "Change", the unrecognized word is deleted, there is no option to skip, and the only thing left is to click "Cancel" close the spelling checker, advance manually, and restart it again. To be fair, this might be a Microsoft Word bug more than an Idiom one (since Idiom uses the MS Word spell checking engine). However, when checked in Word the unrecognized word is displayed correctly, so I think the main culprit is Idiom Workbench. 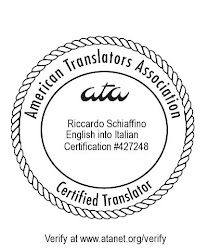 take a look at the email translation service from www dot miilos dot com. They seem to be onto something. I really don't see what that has anything to do with this post. Further post that are apparently only aimed at advertising one's services will be squashed.